State owned Coal India Ltd, having equity of Rs 6316 crore, will complete 15 per cent disinvestment in the coming year in two phases. Under its first phase the company will disinvest 5 per cent stake in the favor of its 4.25 lakh employees and a trust while in the second phase it would carry out an Initial Public Offering for remaining 10 per cent stake. The pricing issue of IPO will be sorted out at later stage by the company, having a cash reserve of Rs 30,000 crore, earning bank interest. 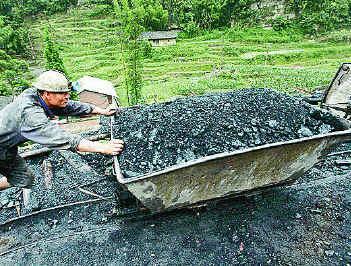 The company needs funds to acquire land for achieving adequate growth rate in the domestic coal segment. A source said, "Considering that the PSUs have limited investment options, it may prove costly for CIL to service a bigger equity created through fresh issue of shares." CIL currently offers job to eligible affected person or equivalent cash as compensation for the acquired land but it is now planning to offer stakes in the future projects to the affected families whose land has been acquired as the land acquisition issue is turning complex day by day.